The journey of Latin American artists from the 60’s and 70’s with a Jamaican style has a new stop: Latinameriska's fourth volume. And even though it may sound like a cliché we have to say this is the best installment of the series without a doubt. Here's why? 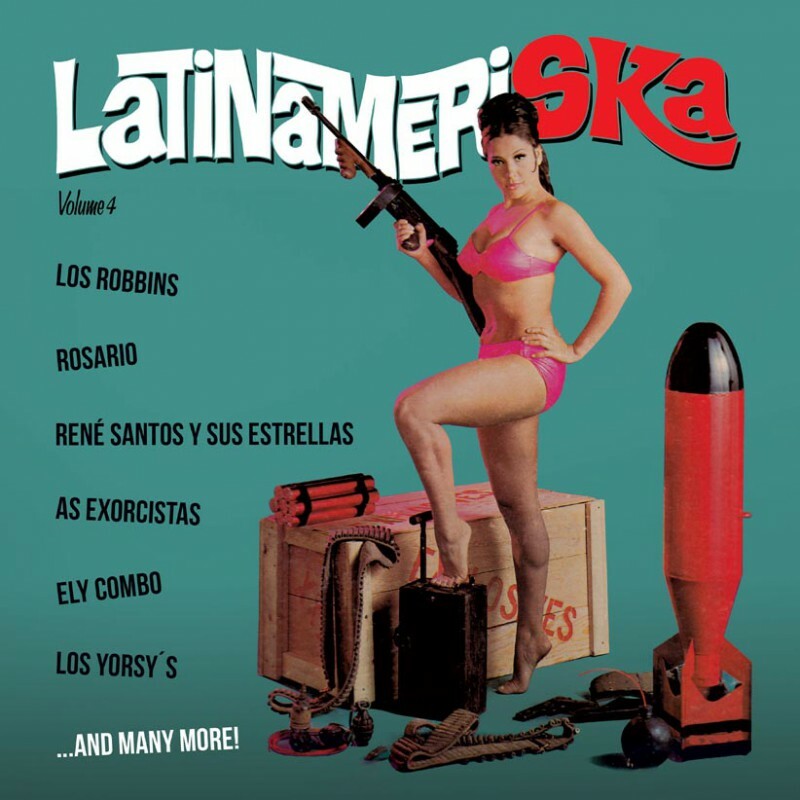 Because you'll get to learn about unknown bands (from out of the Jamaican scene like "Los Creyentes de BC" or studio ones like "The Stars"), get almost impossible to find tunes ("Rosario" or "Los Costeños") or listen to covers as good as the original (hurray for "Los Robbin’s”!!! ), or with sounds that enrich the cover (those amazing Calypso touches of René Santos or the cumbia flavour of Carmen Rivero). We have realized the richness of "Latin Jamaica" has no limits, and from north to south and east to west our treasure chest keeps growing with gems of all kind. This precious stones are all different and all highly valuable: from Jamaican Beat to Early Reggae or Calypso, with covers that range not only from Jamaican scene classics to Jazz and Soul. With such good raw materials and our culinary expertise it was impossible not to cook a delicatessen to be consumed with the ears. And once again we have a ghost track at the end: from Panamá this time, and giving an Antillean flavor to another Jamaican classic. Enjoy this new installment and be calm, it won't be the last one!! !